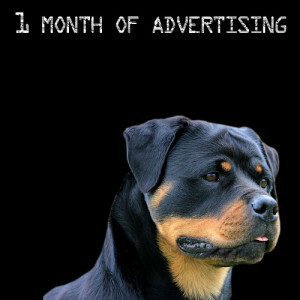 Rottweiler Puppies For Sale offers paid Rottweiler Advertising Packages. Our current packages are listed below. All paid advertising packages include social networking shout-outs every week. 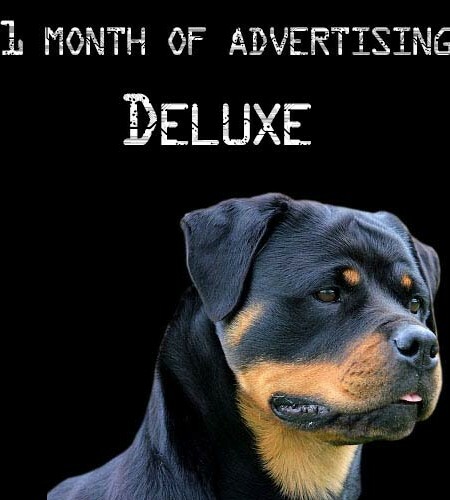 This involves advertising your kennel a few times every week via Facebook, Twitter, and Google+. 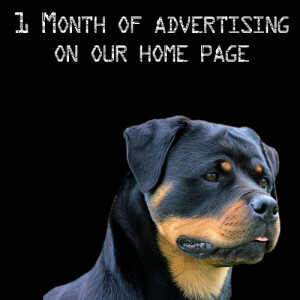 We offer FREE Rottweiler Advertising Packages as well on our Rottweiler Puppies page.